For the collector who has everything or just to scare your friends. Very few people will come close to this one! 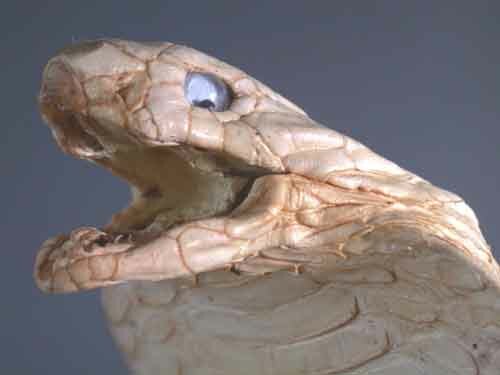 A venomous snake, native to South Asia and Africa neck has loose folds of skin which can be spread as a 'hood' when alarmed fangs short venom (more poisonous than that of vipers) attacks the nervous system usually inhabits forests, but also open country. You will seldom see these for sale as they are RARE and difficult to acquire and import. The Thai Government has recently stopped the issue of permits. You may never have another chance to own this Grand Venomous Specimen. If you have questions, call 1-800-321-8618. All of my Cobras are very similar but no two are exactly alike. The sizes I have range from 13" to 16" tall. 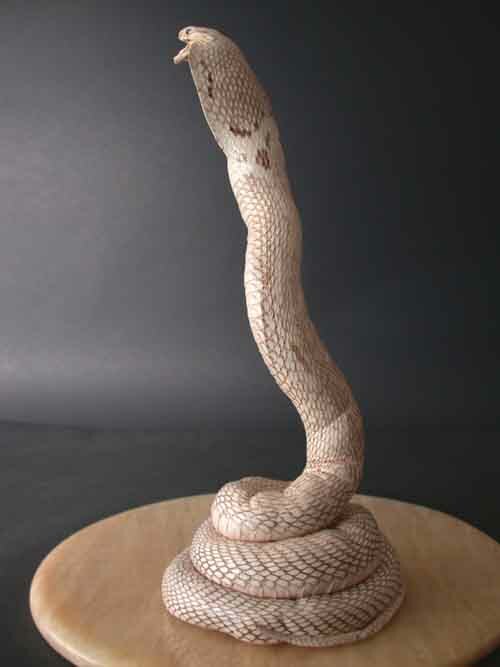 The larger specimen is not necessarily the best looking Cobra. 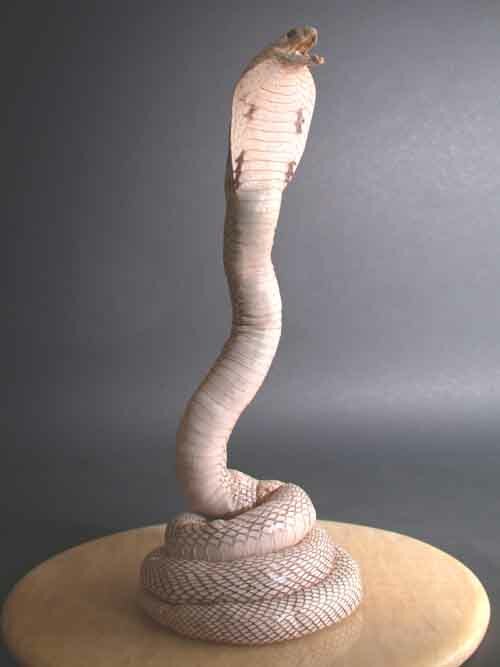 I will choose the best looking Cobra from our stock until they are finished so the sooner you acquire your Cobra the better specimen you will receive. They are all great specimens. After you buy, I will send you a grouping if you would like to choose your own Cobra. This is a very special specimen and a great addition for any art collector.